Found this graphic on the US Naval Institute Blog. Considering that the US Navy is spread all over the globe, with responsibilities in the Atlantic as well the Pacific, while the Chinese Navy will be concentrated in the Western Pacific, far from American Naval bases with the exception of a small number of units in Guam, Japan, and possibly Singapore, the Chinese Navy is likely to enjoy a considerable local advantage, particularly early in any conflict. In peacetime, it takes three CONUS based ships to maintain one in the Western Pacific. That would improve in wartime, but the Chinese would always have an advantage. Not to mention Chinese land based air and missiles. Is there anything the Coast Guard can do to mitigate the coming imbalance in the Western Pacific? It could be worse if US vs both China and Russia. The May issue of US Naval Institute Proceedings is the Naval Review issue. It includes updates on the Coast Guard as well as the Navy and Marine corps that are behind the membership pay wall, but it also has an article, “Too Small to Answer the Call,” by Capt. David Ramassini, future CO of USCGC Kimball (WMSL-756) that is accessible to all, and I think is worth a read. Basically he is advocating using the Coast Guard internationally to build capacity and counter threats of lawlessness and poor governance in trouble spots all around the world. Below is his recommended building program. Enhancing regional security in partnership with willing nations requires a 21st-century Great White Fleet of forward deployable (or stationed) national security cutters (NSCs), offshore patrol cutters (OPCs), and fast response cutters (FRC). The mix of platforms and duration of presence would be tailored to the distinct geographies and vary based on the receptiveness of the host nation(s), problem sets to be addressed, and mutual goals of the combatant commands and partner nations. 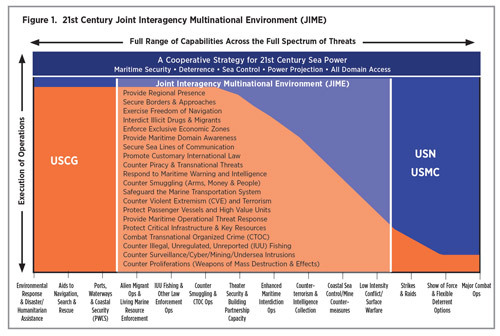 Building on a proven bilateral approach for counterdrug operations and EEZ enforcement, the Great White Fleet would leverage existing agreements—based on the extent to which partner governments are willing—to strengthen CTOC (counter transnational organized crime–chuck) and CT (counter terrorism–Chuck) across the JIME (Joint Interagency Multinational Environment–Chuck). I’m not sure I agree, but it is worth considering. We should, however, keep in mind a sentiment expressed by friend Bill Wells that white paint is not bullet proof. We should not perpetuate the idea that only white painted ships can enforce laws, that is a uniquiely American concept and perpetuating it plays into the hands of the Chinese, who have more coast guard ships than any other country in the world. Still I think there is merit to this concept. It seems to be working for PATFORSWA (Patrol Forces South West Asia). There has already been talk about a similar deployment to SE Asia. We might consider similar detachments of various sizes for West Africa, the Eastern Pacific, and the Marshall Islands. The additional ships, 7 NSCs, and “doubling the size of both the OPC (from 25 to 50) and FRC (from approximately 50 to 100)” Is clearly arbitrary. There is very little the NSCs can do that the OPCs will not also be able to do cheaper, so I don’t see a need for more NSCs. If we take on additional international roles it probably will not be done in one fell swoop. It will probably be done incrementally. Captain Ramassini is clearly looking at this as a near term possibility. Some movement in this direction is clearly possible, but it will take a radical change in the Administration, the Navy, and the Coast Guard for this to happen on the scale he envisions. 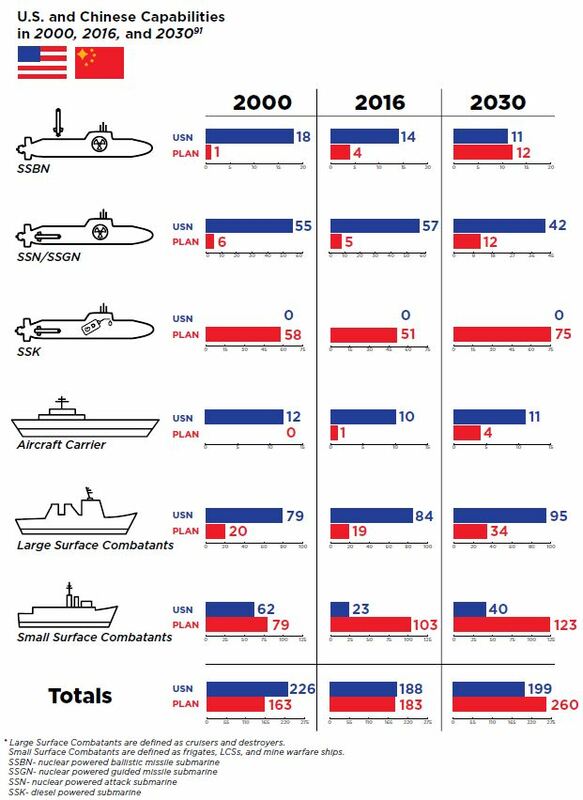 Meanwhile, if you look at the “Offshore and Aviation Fleet Mix Study,” the Coast Guard actually needs 9 NSCs, 57 OPCs, and 91 FRCs just to meet all of our statutory obligations. That is not far from his 16 NSCs, 50 OPCs, and 100 FRCs. The study and the “Great White Fleet” would both probide 66 large ships (NSCs and OPCs). Actually the only way I see this happening is if there is a realization that keeping the USN constantly cycling through distant deployments may not be the best way to maintain readiness. That it wears out very expensive ships and drives people from the service, and that perhaps cutters can perform at least some of the presence missions. 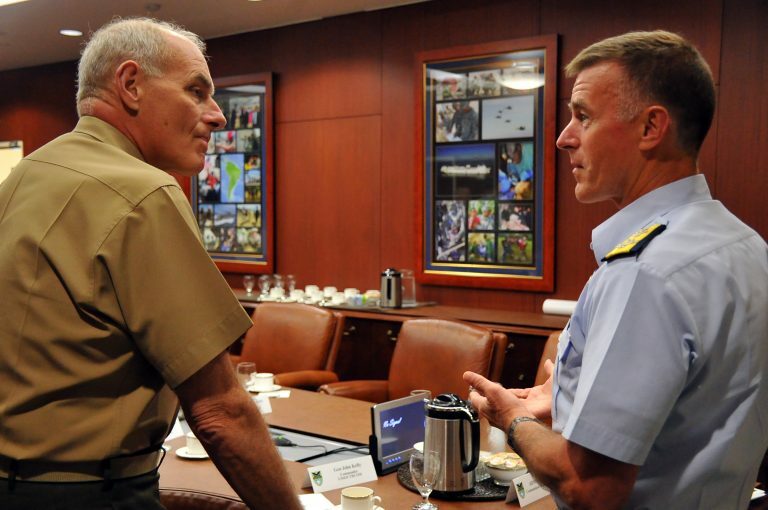 Breaking Defense’s Robbin Laird has an Interview with the Commandant and speculates on the prospects for the Coast Guard under the new administration and DHS selectee General John Kelly. Its a good one, and even the comments are worth reading. There is much of the same we have heard before. The Commandant has a clear and consistant message and agenda, but there is more detail about a possible role in the far Western Pacific. This is the first time I have seen the phrase “permanent USCG presence in the South China Sea and related areas.” Does that mean we will have a CG patrol squadron working out of Sinagpore or Okinawa (or Cam Ranh Bay), like the one in Bahrain? Or are we just looking at the Webber class WPCs we already know are going to Guam? (Must be more to it than that.) I do think we should put some OPCs in Guam, if only to patrol the EEZ in the Western Pacific. Until recently we might have considered the possibility of basing in the Philippines, but that no longer looks like a possibility. What ever you may think of the incoming administration, for the Coast Guard at least, it looks promising.